It seems the mullahs in Tehran can’t catch a break as events conspire to slowly and inexorably pry their fingers away from the stranglehold of control they’ve exerted over the Iranian people for the past nearly four decades. With the United Nations General Assembly scheduled to start next week and chaired by President Donald Trump, the Iranian regime is being buffeted by attacks and threats from all sides not the least of which has been the economic hammer blows wielded by the Trump administration in the wake of pulling out of the Iran nuclear deal. A flurry of European companies, who raced in once the deal was approved in 2015, are now racing out of Iran with looming secondary sanctions by the U.S. for anyone doing business with Iran in key areas. The focus is on “bottleneck sectors” — areas where there is little or no way to avoid a U.S. connection, including aviation, insurance, shipping, logistics, and especially banking. This means many German companies are caught in the crosshairs and have pulled up stakes. Many observers expect many more big firms to leave Iran. “We expect almost all of the European and Japanese companies along with major Korean companies to leave Iran,” Sara Vakhshouri, the president of SVB Energy International in Washington DC, told Deutsche Welle. 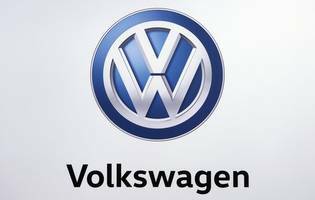 Major German companies scaling back or shutting down operations in Iran include automakers Volkswagen and Daimler, financial institutions Commerzbank, Deutsche Bank and DZ Bank, manufacturing giants Airbus and Siemens, insurance giants Allianz and Munich Re, airlines Lufthansa and Austrian, Deutsche Telekom and consumer goods company Henkel. This follows pullouts by Total and Peugeot and many other European firms the Iranian regime has been desperate to keep. The exodus has prompted officials such as Hassan Rouhani and Mohammad Javad Zarif to beg the European Union to try and come up with alternative means of keeping Iran afloat. The list of companies leaving Iran has been staggering and leaves the mullahs in a precarious position with unfinished projects, little capital investment available and unemployment driving growing protests across the country. But Germany’s pullout only compounds the pressure the Iranian regime is receiving in its most vital economic sector: petroleum. According to numerous media sources, OPEC is considering boosting oil production by half a million barrels a day to counter a perceived shortfall from Iran as customers cut orders because of U.S. sanctions. The Organization of Petroleum Exporting Countries gathering in Algeria may indicate whether the group has “the barrels available to fully cover the Iranian lost output,” said John Kilduff, a partner at New York-based hedge fund Again Capital LLC, according to Bloomberg. OPEC and allied producers are set for another contentious meeting: Iran has threatened to veto any decision that harms its interests. Iranian oil minister Bijan Namdar Zanganeh said the group had no authority to impose a new supply arrangement. According to analysts, the shift in production to cover an Iranian shortfall could occur chiefly through more pumping from Saudi Arabia and Russia, the two largest producers within the OPEC+ group. As a chief regional rival to Iran, Saudi Arabia could deal a harsh economic blow to Iran, and while the Iranian regime has worked tirelessly to keep Russia as a sponsor, the prospect of becoming a dominant global player in a reconfigured oil market without Iranian leverage appeals to the Russians according to analysts. Events are quickly conspiring to further isolate the mullahs and strip them of the economic leverage they once had in controlling virtually all of the country’s industries through a vast network of shell companies. In typical bluster, the Iranian regime held military exercises near the strategic Strait of Hormuz in the Persian Gulf according to the regime’s official IRNA news agency. The drill involved the military’s and Revolutionary Guard fighter jets, including U.S.-made F-4, French Mirage and Russian Sukhoi-22 planes, the report said, adding that five logistics and combat helicopters are also taking part in the exercise over the Persian Gulf waters and the Sea of Oman. IRNA said the maneuver is a warning to Iran’s enemies that they face a quick, “stern response” in case of any ill-will toward Iran. The predictable military threats by Iran come on the heels of decision by the U.S. State Department to once again tag the regime as the world’s leading sponsor of state terrorism. The annual survey on global terrorism said Iran and its proxies are responsible for intensifying multiple conflicts and undermining U.S. interests in the region. “Designated as a state sponsor of terrorism in 1984, Iran continued its terrorist-related activity in 2017, including support for Lebanese Hezbollah, Palestinian terrorist groups in Gaza, and various groups in Syria, Iraq, and throughout the Middle East,” the report said. The survey said that Iran used the Revolutionary Guards Corps’ Quds Force to provide support to terrorist organizations, provide cover for associated covert operations, and create instability in the region. “Iran uses terrorism as a tool of its state craft, it has no reservations about using that tool on any continent,” Ambassador Nathan Sales, the State Department’s coordinator for counterterrorism, told journalists Wednesday. He cited Iran-linked fundraising networks in West Africa, weapons caches in South America and operational activity in Europe.